Why did the amphibian cross the road? The answer is no joke. Each spring in Maine untold numbers of frogs and salamanders get run over en route from the woodlands where they hibernate to the vernal pools where they breed. “The road crossings become essentially kill zones,” says Jeanne Christie, executive director of the Association of State Wetland Managers in Windham. So, on the first warm, rainy spring night, the Lakes Environmental Association (LEA) in Bridgton deploys a contingent of “crossing guards” to assist the amphibians in a ritual known as Big Night. Even the educators needed educating. A decade ago, Bridie McGreavy was head of the LEA’s environmental education program when she read about amphibian breeding habits in David Carroll’s book Swampwalker’s Journal. “I couldn’t believe that I had grown up in western Maine and I knew nothing about these annual migrations,” McGreavy says. Because of their short life expectancy (about three years), frogs will try to breed even when the ground is dry. 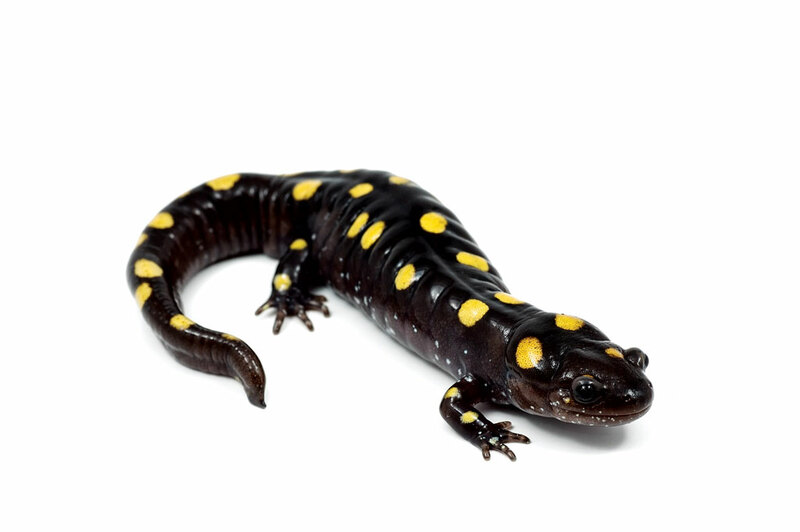 But salamanders require wet conditions to emerge from the ground. And because they can live as long as 20 years, they will skip a breeding season if conditions aren’t right. That appeared to be the case on the LEA’s first organized Big Night. “I said, ‘We’ll just do a nighttime frog walk instead,’ ” McGreavy recalls. “It hadn’t occurred to me to alert the police,” McGreavy says. LEA requires participants to attend a training session. (To learn more, go to the Education/Events dropdown menu at mainelakes.org.) And even those who don’t participate in Big Night can do their part by staying off the roads on wet April nights. Caroline Praderio is a former Down East assistant editor.